Though we’re all subject to the blessings of God, some are more blessed than others. I believe that favor has something to do with that. What was it that attracted God to Mary? “The angel went to her and said, ‘Greetings, you who are highly favored! The Lord is with you’.” (Luke 1:28) That’s the type of favor I want to tell you about. Throughout the Bible the word ‘favor’ is used in various ways. It can mean grace and acceptance but I want to examine it from the dictionary definition: approval, support, goodwill, above and beyond, kindness, preference. All of this is available to the believer as we can see from the lives of many Bible characters. As you read further, you will find examples of people who had the favor of God on their lives and you will discover how to attract God’s favor in your life. However, it’s important to note that when I refer to favor, I don’t mean favoritism. We know that God does not show partiality, but He does show favor. Favor is not Love. God loves everyone the same. It’s not grace, we are saved through grace by faith. It’s also not about blessing although God’s favor leads to blessing. Favor is something more and it will change your life. Love God with all your heart. Without loving Him, we cannot expect to gain His favor. What are you doing for the Kingdom? What are you doing for others? If you want God’s favor then start caring for people. Ruth found favor with Boaz because of the things she had done and James says ‘faith without works is dead’. Ruth’s was noticed for what she had done, she received more than she asked for, special treatment, protection, more than enough! Abel’s offering found favor with God but Cain’s did not. Make sure your offering finds favor with God. Giving gifts leads us to find favor with both God and man as we see from the example of Jacob who found favor with Esau following his substantial gift. Click to give a gift to GOD TV to take the Gospel further! Noah found favor with God due to his faithfulness. He walked faithfully with God and that led to favor. As we can also see in the example of Noah, being righteous and blameless is a key to finding favor. We also find this call to righteousness in the New Testament. “Surely, Lord, you bless the righteous; you surround them with your favor as with a shield.” (Psalm 5:12) You can be blessed with favor. Favor leads to blessing. Esther shows us how submission brings favor. She didn’t take matters into her own hands. This is an ingredient to receiving favor. She exemplified submission, humility and confidence in God and won the favor of everyone who saw her. Through her humility Esther received immediate care and attention, provision, the best place, helpers, assistants and attendants. Furthermore, her favor created favor for all around her. Through our humility, let’s create an atmosphere of favor in our lives that can overflow to others. Honesty is a key to favor. Joseph found favor with Potiphar because he could be trusted. Wisdom is a key to favor. As Solomon makes clear in the Book of Proverbs. As you use these 10 keys I believe you will see the favor of God on your life. And, remember,Favor comes in stages. You have to grow in it. You do not necessarily receive maximum favor all at once. “And Jesus grew in wisdom and stature, and in favor with God and man.” (Luke 2:52) If Jesus had to grow in favor then so do we! God’s favor is lasting. “For His anger lasts only a moment, but his favor lasts a lifetime.” (Psalm 30:5) Weeping may stay for the night, but rejoicing comes in the morning. Once you have God’s favor it last’s a lifetime. Do you want a lifetime of favor? 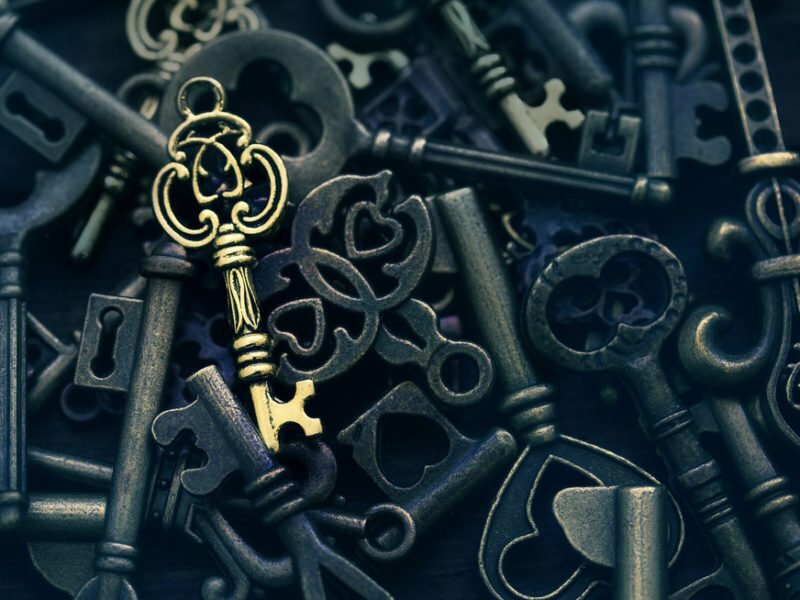 Use these 10 keys to unlock God’s increased provision in your life and let it overflow to others. Noah found favor, he was blameless, righteous and faithful. Joseph found favor with God, as did Esther. God’s favor is for a purpose. When He favors you, it’s not for you to sit upon, but to do something with. You receive blessing so you can be a blessing! Click to sow a seed into Souls, Israel and revival. GOD TV’s mandate from God. We’re praying for you to be highly favored just like Mary. • This article was written by Ward Simpson, who leads the global GOD TV network. Ward is the host of many GOD TV broadcasts including his series Today With Ward. A leader at Brownsville, his passion is souls, Israel and revival.